Security is critical in the education market. Protecting children from others and themselves requires advanced skills. 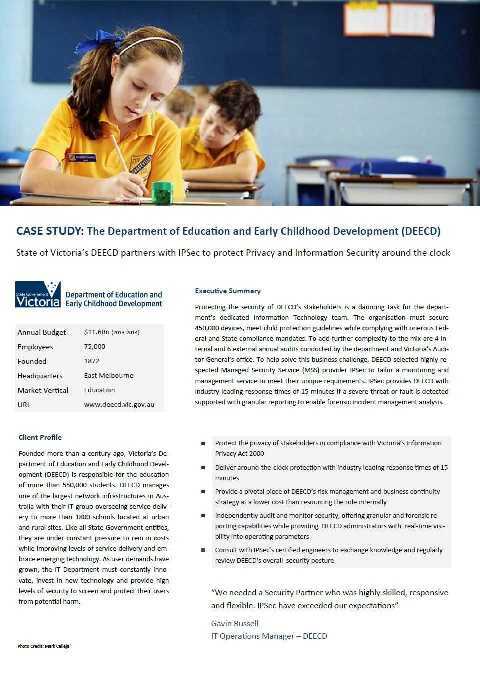 IPsec provides services to DEECD and this case study flags the benefits of partnering with IPsec. 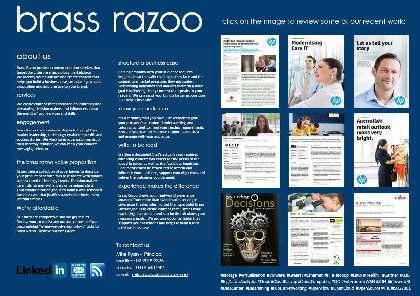 Case studies show the capabilities and provide reference examples of how the vendor has the skills to reduce the risks posed by change. IPsec's managed security products lead the field and the intended audience were those with complex environments that require expertise and 24*7 monitoring services.